I would like to thank Destry Johnson and his professional staff for helping me and my family purchase our first home. The process was streamlined and fast. We came to Destry with a wish list, a budget and one complicated request - we needed an extended escrow. He jumped on it and helped us negotiate an offer well below list price on a house that met every one of our items on that wish list. This guy is a REAL ESTATE MIRACLE WORKER! We felt that he always had our best interests in mind and that we could absolutely trust his judgement and opinions. What more can you ask for? Plus, this guy is funny and that’s something you’re gonna need in the home buying process. I was living in Northern CA and buying property here in Southern CA. That distance did not impair communications during the entire process and Destry was very good in keeping me posted on developments. We were fortunate to have the BEST agent in the industry to buy our first home. Destry is knowledgeable, honest, and provides timely communication through the buying process. Strongly recommend Destry!  I can not say enough about our agent Destry Johnson at Berkshire Hathaway Home Services Ranch & Coast Real Estate. I know that's a mouth full however it's well worth the effort. Destry is hands down the best agent with a can do attitude. This agent actually listened to what both my wife and I wanted and delivered properties that were on point without wasting any of our time on homes that didn't meet our needs. Too often, agents act as though they hear you, yet roll you around town totally missing the mark. Not this agent/agency. No matter what the challenge, Destry erased such statements "Challenge" and steered them into victories almost effortlessly. Thank you, Destry for your Service "Marine"; and for your outstanding customer focus as our real-estate agent. You Rock!! Working with Destry Johnson in finding the best home for me was a breath of fresh air! He was low-key/low-pressure, interested in learning about ME in order to locate a property that matches my needs, knowledgeable, available, and during the negotiations, he had MY back. I felt complete trust and confidence while guided by Destry, as I was new to the area and very unfamiliar with the various neighborhoods. I knew, without a doubt, that he would look out for my best interest, and he did. Additionally, his follow-up is amazing. I would highly recommend anyone to contact Destry Johnson for their real estate needs. Destry took sooooo much time to help me find a home. He always had my best interest in mind. Destry used technology which saved time and made it easy to make offers quickly and easy. I would not be in the beautiful home I'm in had it not been for Destry Johnson. He was professional, kind, empathetic and I would HIGHLY recommend Destry Johnson to everyone. Destry became my realtor by pure accident. I wasn't actually trying to contact him directly, but made a mistake online. Turned out to be the best mistake I could of made. We were serious buyers, but wanted to find a house before we picked our bank. Backwards thinking maybe but we were secure in our financial health. No one would take us to see houses without preapproval. Then the mistake and Destry called. He said, "sure let's go, what houses do you wanna see? Don't know? I can pick some out. What are you looking for?" We knew. He took us out to see the 3 houses. We picked one, got preapproved quickly and 3 days later we were making an offer. Destry was non-pressure, relaxed and educated. Trusted us and what we wanted and worked with the sellers agent to fix what needed to get done. Simply the best of the crop I've come across. I would highly recommend him! Now a few months later we are getting comfortable in our new home. Because of the policies of the other agents they lost a sale. Destry backed us 110%. When your making your choice pick him and his agency. You won't regret it. Destry made a believer of us when we gave him the listing for our first home in Riverside County and bang it was sold. The next home had a buyers lender that piled on delay after delay. Destry negotiated an incentive to get the buyer to complete the escrow or pay a growing fee for the delay. Destry helped us with our next purchase and when the sellers misrepresented the facts he was a big help in getting our settlement. On our most recent home sale, Destry was faced with an inexperienced buyer's agent, a no money down buyer with a small time clueless lender. He educated everyone and got our sale. This home was only on the market five days before we accepted the offer. You want Destry on your side. Destry is awesome to deal with. This was are first time selling and buying all at once. Destry made the process very easy and enjoyable. He was always accessible either by phone, text, or email. He always responded or answered. I would recommend him a hundred times over. I have sold two homes in the last 2 years and purchased another through Destry Johnson. Each of the two homes I sold were on the market for less than three weeks and both had over asking sales. Destry does a fantastic job of marketing properties and is extremely knowledgeable regarding all aspects of the sales and purchase process. I have and will continue to recommend Destry to anyone wishing to purchase or buy real estate. Professional, patient and knowledgeable! This is the first time I was selling a house and buying a new one. I had many questions. Shelley answered all of them probably 100 times over. She was very patient and knowledgeable with every question. Everything went smoothly and Shelley communicated with me during the whole process. I didn't have to chase for answers. We will always go with Shelley & Destry when we buy and sell again. Destry Johnson is the best realtor we have ever experienced for both buying and selling property. He makes you feel like you are his most important client, even though you know you are not. His negotiation skills are great and even when things seem impossible, he makes it possible. He also has a fantastic staff who are courteous and very competent. We are fortunate that we met Destry approximately 10 years ago, and since then he has advised and worked with us on various real estate matters. Destry has been our real estate agent during the sale of TWO homes and TWO purchases. He is, without a doubt, the best and most qualified agent with whom we have dealt! Whether it was in negotiations or garnering a loan, he assisted us throughout the processes. He is, indeed, a premier real estate agent! Now, two years after our last transaction, he still emails us regularly, telephones, and checks on our general welfare. In the future, he will continue to be our agent for any real estate sales and/or purchases we make. We chose Destry after firing two other agents. He told me he would sell my house and he did. We were being told by other agents to short sell and rent but Destry worked very hard and found us a buyer. We could not be happier with the job he and his team did for us. We love our new home and if we ever decide to move again we will be calling Destry. We have bought two and sold one house using Destry Johnson as our realtor. Destry is the absolute best realtor I have ever used! He makes the whole process easy and is a great at getting things done!